I just started this facebook page: https://www.facebook.com/groups/1890975657893183/ It would be a good resource to find drivers, open seats, wrenchers and more. Non series specific. 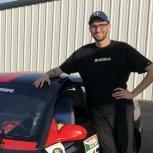 MMR_Racing is a new team looking for funded drivers for Homestead 38-hour event. Currently, up to 15 stints (2hr) are available in our mr2, and drivers will be teammates with competitors from the NXS & NCWTS. Drivers can select stints as their participation is confirmed. Food and beverage will be provided during race days & discounts are available for multiple stints. All participants are expected to show up, compete & have fun! For more info, DM here or email eric@ericmcclure.com or call/text two seven six four five one zero seven five seven. We look forward to seeing you there! Drivers needed for Pittsburgh Race!! We have just finished acura integer build and plan on racing Ohio in July, Virginia and Detroit in August and need a 4th man for any or all races. CC replies to scott@arboristreeservice.com. I have one seat available for Sebring, my car is a 1992 E36 BMW that has been serviced and has all safety items addressed. This car was running great at Daytona before the pilot bearing came loose and ruined the clutch. A E36 BMW that is serviced and repaired for reliability, durability and endurance is as good as it gets when it comes to endurance racing, so I am looking for someone who is a good team player and preferably has experience driving race cars to join this team. You can contact me at ralph@rmtautowerkes.com.